100% Apple juice made more dense by water evaporation and mixed with hemp extract. The juice does not contain added sugars or preservatives. You can use this juice to make drinks (diluting it), as a sweetener or dessert decoration. Apples give our body energy and vitamins. Hemp supports our natural immunity. 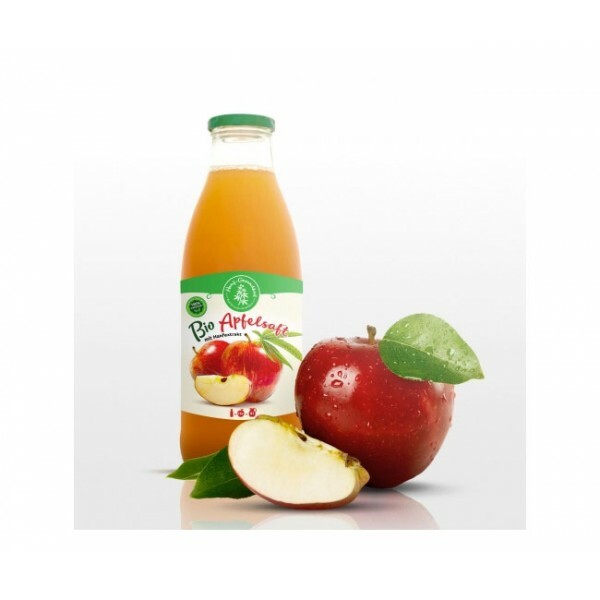 15 apples were used to make a bottle of juice. Recommended dilution 1:12. With this bottle you can prepare up to 4 liters of juice. 5% Cannabis Sativa extract (extract of flowers, leaves and seeds of Cannabis Sativa).